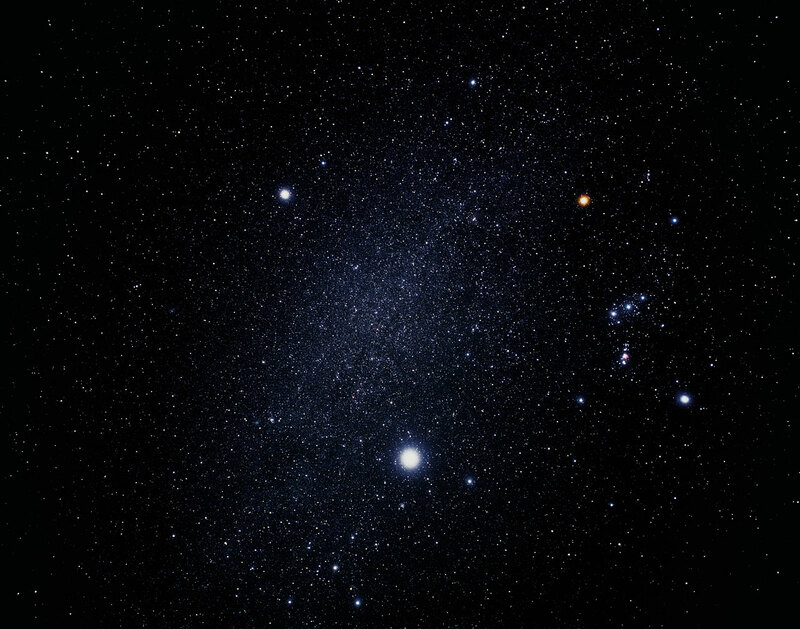 White dwarfs are important to theories of both stellar and cosmological evolution. 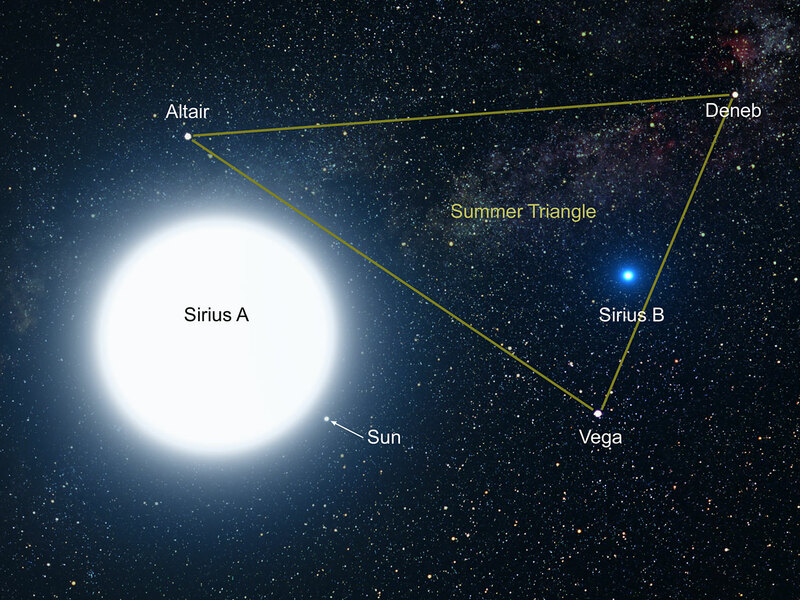 New results published in the Monthly Notices of the Royal Astronomical Society provide for the first time an accurate measurement of the weight of the nearest white dwarf, Sirius B, companion of the brightest star in the sky. 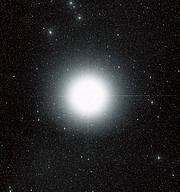 It turns out that Sirius's companion, despite being smaller than the Earth, has a mass that is 98% that of our own Sun. 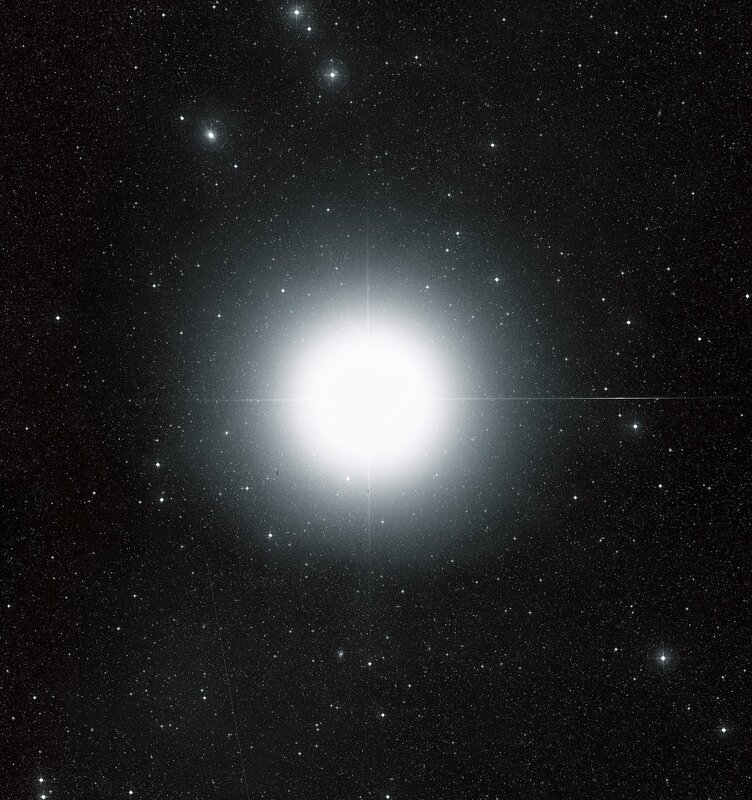 For astronomers, it's always been a source of frustration that the nearest white-dwarf star is buried in the glow of the brightest star in the nighttime sky. This burned-out stellar remnant is a faint companion of the brilliant blue-white Dog Star, Sirius, located in the winter constellation Canis Major. Now, an international team of astronomers has used the keen eye of the NASA/ESA Hubble Space Telescope to isolate the light from the white dwarf, called Sirius B. 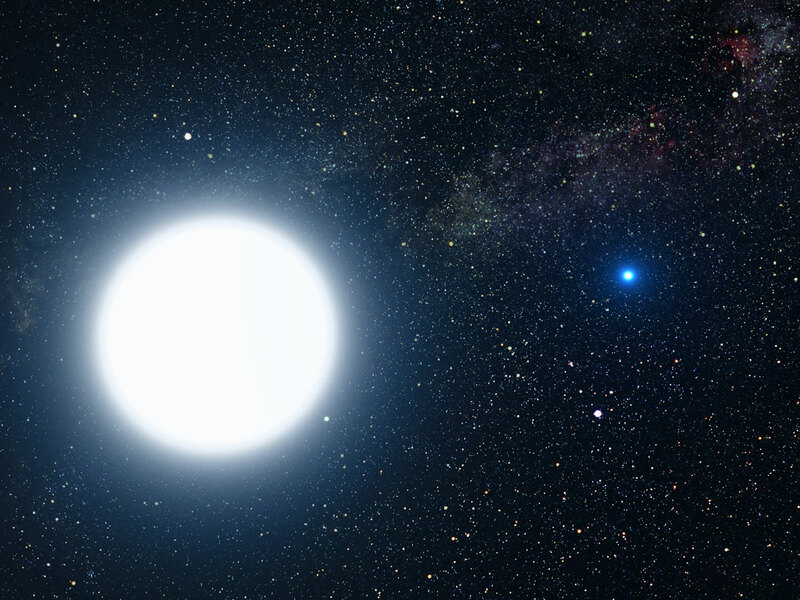 The new results allow them to measure precisely the white dwarf's mass based on how its intense gravitational field alters the wavelengths of light emitted by the star. "Accurately determining the masses of white dwarfs is fundamentally important to understanding stellar evolution. 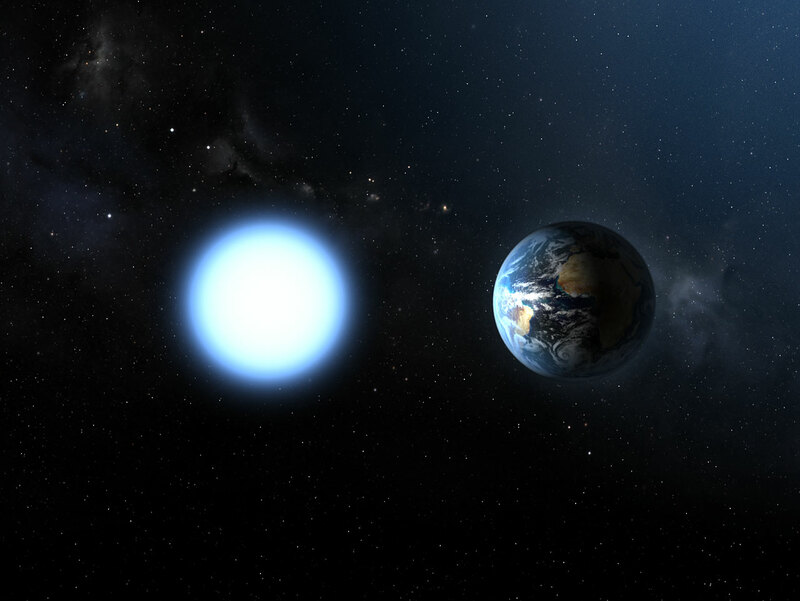 Our Sun will eventually become a white dwarf. White dwarfs are also the source of Type Ia supernova explosions that are used to measure cosmological distances and the expansion rate of the universe. Measurements based on Type Ia supernovae are fundamental to understanding 'dark energy,' a dominant repulsive force stretching the universe apart. Also, the method used to determine the white dwarf's mass relies on one of the key predictions of Einstein's theory of General Relativity; that light loses energy when it attempts to escape the gravity of a compact star." 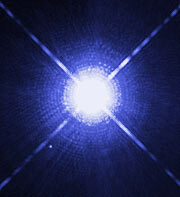 Sirius B has a diameter of 12,000 kilometres, less than the size of Earth, but is much denser. Its powerful gravitational field is 350,000 times greater than Earth's, meaning that a 68 kilogram person would weigh 25 million kilograms standing on its surface. Light from the surface of the hot white dwarf has to climb out of this gravitational field and is stretched to longer, redder wavelengths of light in the process. This effect, predicted by Einstein's theory of General Relativity in 1916, is called gravitational redshift, and is most easily seen in dense, massive, and hence compact objects whose intense gravitational fields warp space near their surfaces. Based on the Hubble measurements of the redshift, made with the Space Telescope Imaging Spectrograph, the team found that Sirius B has a mass that is 98 percent that of our own Sun. 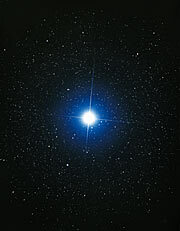 Sirius itself has a mass of two times that of the Sun and a diameter of 2.4 million kilometres. White dwarfs are the leftover remnants of stars similar to our Sun. They have exhausted their nuclear fuel sources and have collapsed down to a very small size. Despite being the brightest white dwarf known, Sirius B is about 10,000 times fainter than Sirius itself, making it difficult to study with telescopes on the Earth's surface because its light is swamped in the glare of its brighter companion. Astronomers have long relied on a fundamental theoretical relationship between the mass of a white dwarf and its diameter. 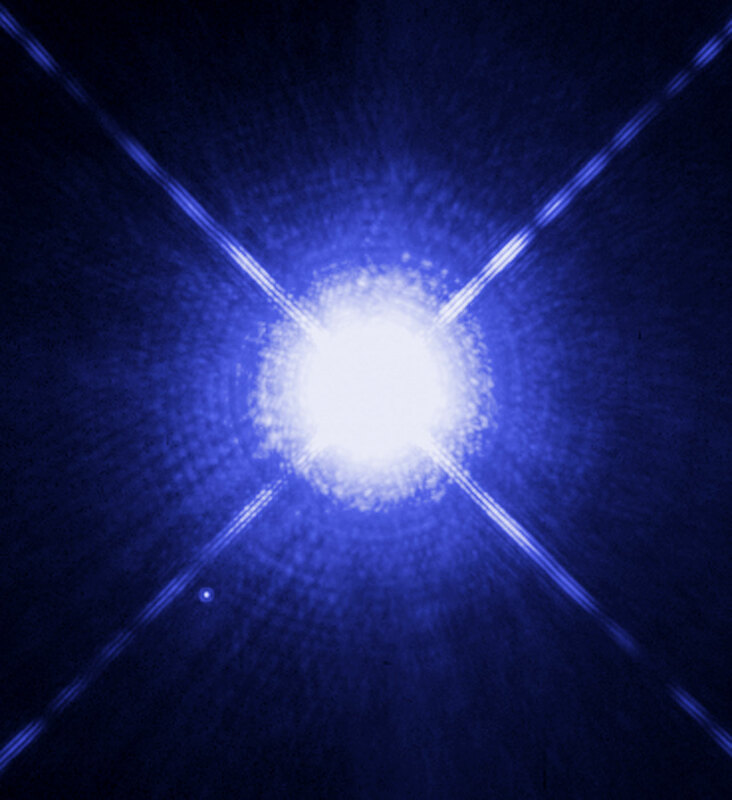 The theory predicts that the more massive a white dwarf, the smaller its diameter. The precise measurement of Sirius B's gravitational redshift allows an important observational test of this key relationship. The Hubble observations have also refined the measurement of Sirius B's surface temperature to be 25,000 degrees C. Sirius itself has a surface temperature of 10,000 degrees C.
Details of the work were reported in the October 2005 issue of the UK-based journal Monthly Notices of the Royal Astronomical Society. Other participants on the team include Howard Bond of the Space Telescope Science Institute, Baltimore, Md., USA; Matt Burleigh of the University of Leicester, UK; Jay Holberg and Ivan Hubeny of the University of Arizona, USA; and Detlev Koester of the University of Kiel, Germany.